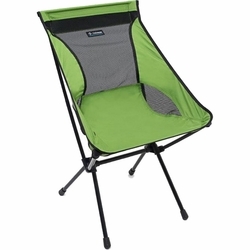 Helinox Camp Chair. A simple, lightweight, technically designed chair with back and neck support for a seriously comfortable backcountry experience. Single shock corded pole design makes set up quick and easy. The comfort to weight ratio on this chair is astounding. Skin & Frame Weight 2.7lbs.